Former Union Minister Dayanidhi Maran, his brother Kalanithi Maran and five others will now face trial in the BSNL illegal telephone exchange case with the Supreme Court dismissing their appeals against the Madras High Court judgment which had refused to discharge them in the Telephone Exchange case. The appeals were dismissed by a Bench comprising Justice Ranjan Gogoi, Justice R. Banumathi and Justice Navin Sinha, upholding the Madras High Court order, which had, on 25 July, set aside the discharge order passed by the Special CBI Court. Justice G. Jayachandran had allowed the CBI’s revision petition, wherein the latter had argued that even though the material in the case was adequate enough to frame charges against the accused, the trial court had discharged them for extraneous considerations ,and that the order of discharge was passed without testing the evidence placed before the court. The High Court had observed, “Considering the police report and the documents, only opinion any judicial mind could form is that there are grounds to presume all the 7 accused have committed offence and not otherwise,” and had directed the trial court to frame charges and complete the trial within 12 months. The Court had further rejected the argument put forth by the Senior Defence Counsel, who had submitted that while the Defence Minister is permitted to enjoy exclusive Air Force Aircraft for her journey and Railway Minster exclusive saloon for his travel in the train, the Minister for Telecommunication should also have an exclusive exchange. “To this argument, the logical answer could be, ‘Yes, if law permits.’ The corollary will be, if law does not permit, they are liable for prosecution. It is amply shown in this case that law does not permit to have the facilities enjoyed by the accused under service category, hence they are liable for prosecution,” Justice Jayachandran had opined. It is CBI’s case that Dayanidhi Maran, while he was the Minister for Communication and Information Technology (MOC&IT) in the Government of India from 2004 to 2007, abused and misused his office in connivance with the other accused—Brahamadathan, MP Velusamy (both senior officials of BSNL), private secretary V. Vedagiri Gowtham, electrician KS Ravi and S Kannan, Chief Technical Officer of Sun TV Network Limited, and his brother Kalanithi Maran, chairman and managing director of Sun TV Network Limited. 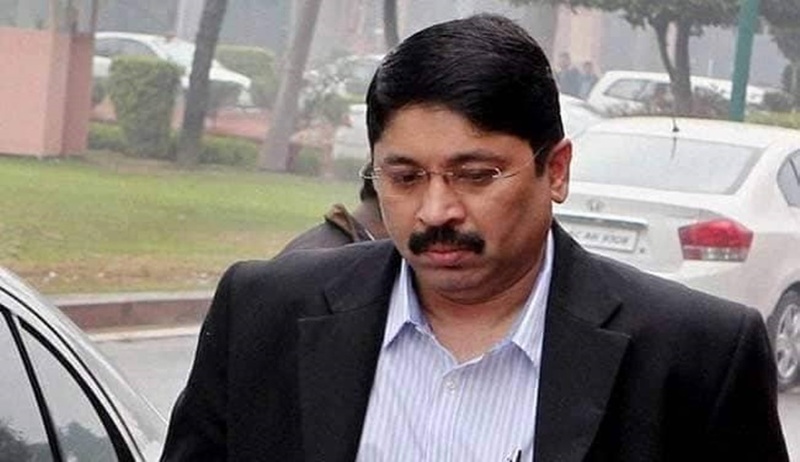 It has been alleged that Maran had obtained a pecuniary advantage and caused the exchequer a loss of Rs 1.78 crores by installing a private telephone exchange at his residences in Boat Club and Gopalapuram in Chennai, Tamil Nadu, which he used for business transactions involving the Sun Network. More than 700 high-end telecom lines, having PRA/BRA/ISDN/leased line, were installed at Dayanidhi’s residences in the Boat Club area and Gopalapuram under the service category and bills were not raised for their utilisation. Besides, allegedly, illegal installation of landlines with ISDN facilities, on the instruction of Dayanidhi Maran, additional SIM cards for use of mobile phones with fancy numbers were blocked for Sun TV and distributed to private individuals connected with the TV Network.